Opening soon, Steven Spielberg’s adaptation of The Big Friendly Giant should look familiar. Not just because we all loved the children’s books, nor because Mark Rylance stars in the title role. Many of its atmospheric streetscapes are drawn from Camden neighbourhoods, around Hampstead station, including Church Row in particular. Bedford Square’s terraced houses feature as well. Nearby in Haringey, iconic London’s panorama was filmed from Archway Bridge, over Archway Road. And views toward Westminster Bridge and the Houses of Parliament were shot from the Albert Embankment in Lambeth. 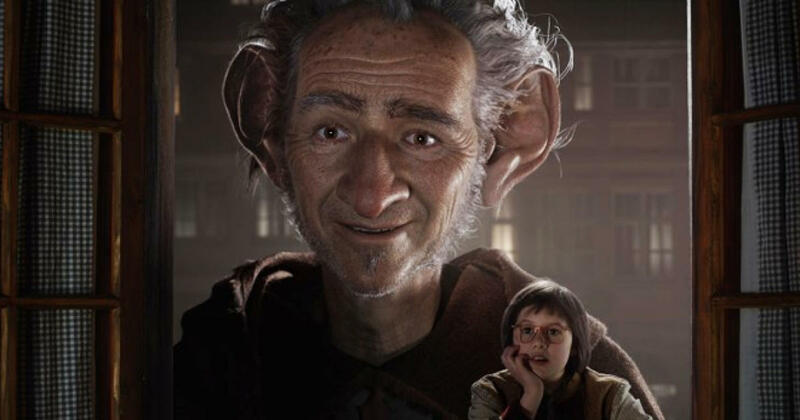 Mark Rylance’s performance was captured in stop motion, as the lonely old giant kidnaps orphaned Sophie and takes her on an adventure in Giant Country. Roald Dahl’s original book was dedicated to his daughter Olivia who died of measles encephalitis when she was seven. The film opens on July 22nd – take a look at the trailer here.